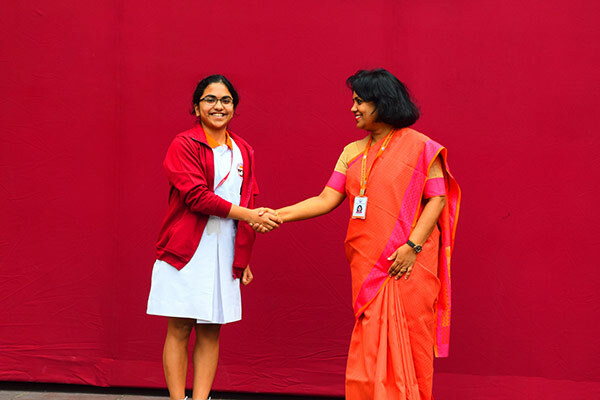 “A leader is one who knows the way, goes the way and shows the ways” – These opening lines marked the beginning of the first in a series of events to be held in National Public School, Indiranagar – The Investiture Ceremony which was held on Friday, 16 June 2017. 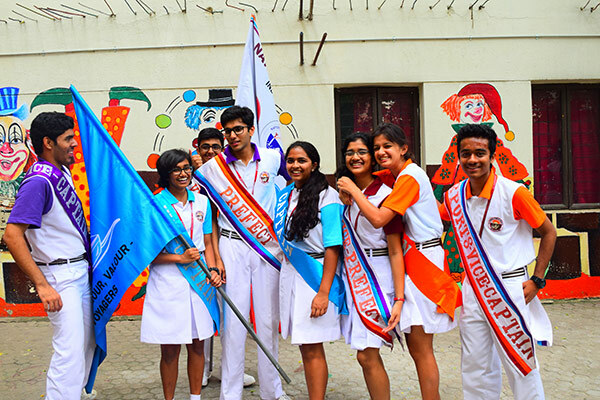 Investiture draws inspiration from the school vision which ardently believes that every child must evolve into an individual replete with knowledge, respect towards elders, respect for the rules and regulations of this esteemed institution who will become the global citizens of tomorrow. 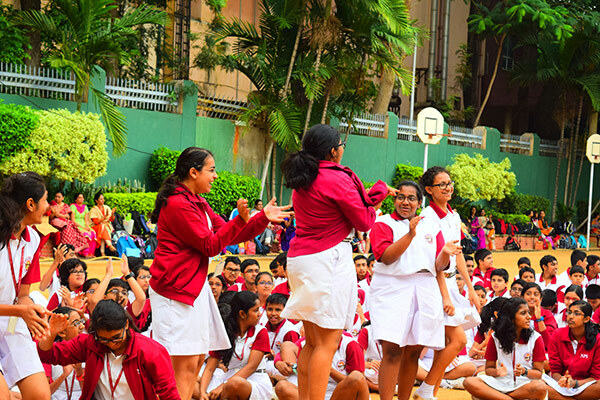 The school atmosphere was charged with excitement and anticipation as each student from classes 9 to 12 secretly coveted for a badge. The ceremony began with the school prayer and the pledge. 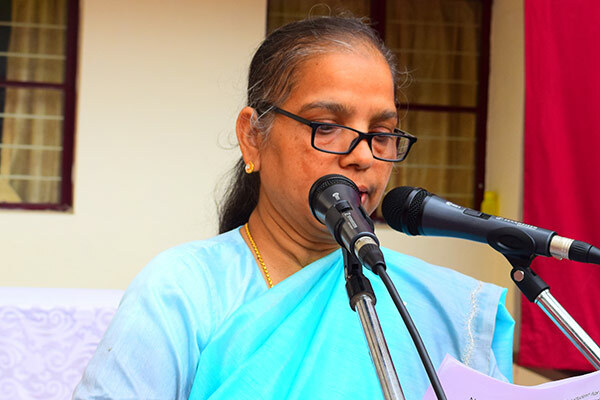 The chief guest of this event was Dr Bindu Hari, Director, Academics, NAFL, TISB and NPS Groups of Schools. 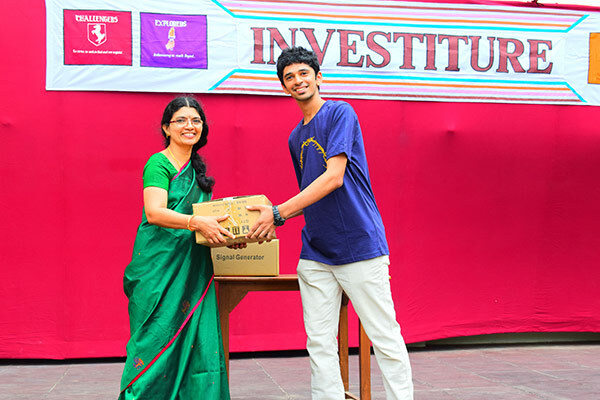 She delivered an inspirational message about the self-worth of every individual through a live example. 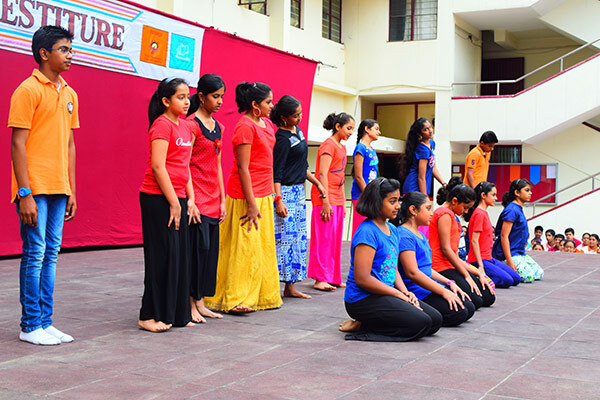 Through her guidance, the students enthusiastically participated in the reiteration of the motto of the various houses. 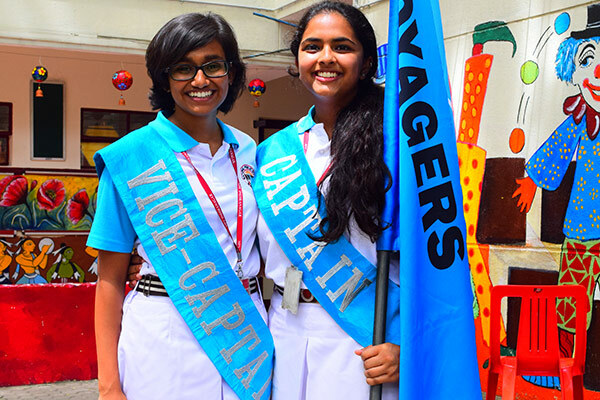 Dr Bindu Hari conferred the most prestigious posts of the School Prefect and the two Vice Prefect, the Sports Captain and the Sports Vice-Captain, on the designated students. 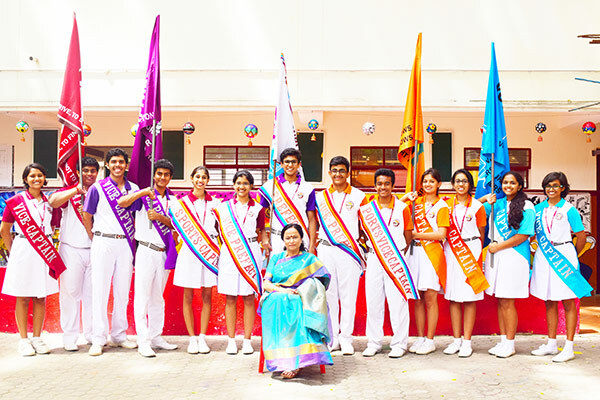 Thereafter, the next set of badges of the House Captains and Vice-Captains were bestowed upon the deserving students by the Principal Ms Shantha Chandran. These new badge holders were felicitated with enthusiastic round of applause. 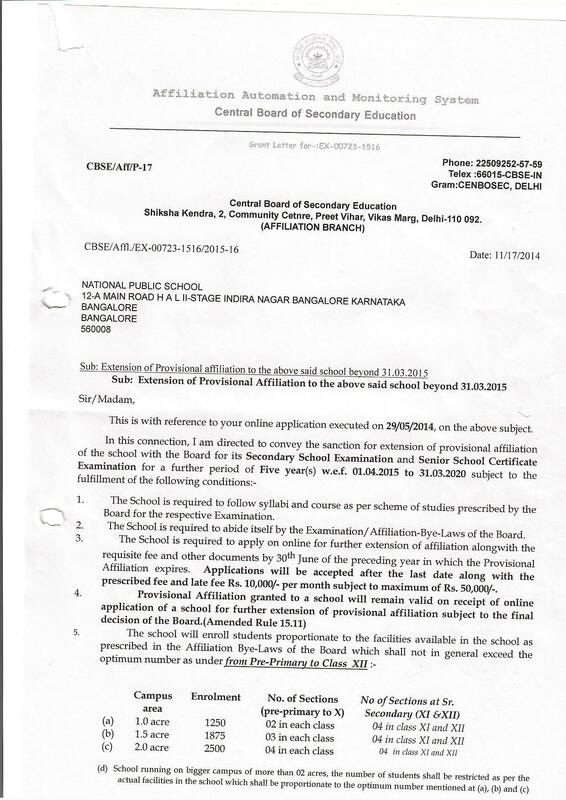 Next, the students waited with bated breath for the various Association portfolios to be announced and this conferred by the Vice Principal Ms Shirin Jeyakar. She honoured the office bearers of the Math, Science, Cyber, Music, Dramatics, Literary, Webcraft, Dance and Commerce Associations. 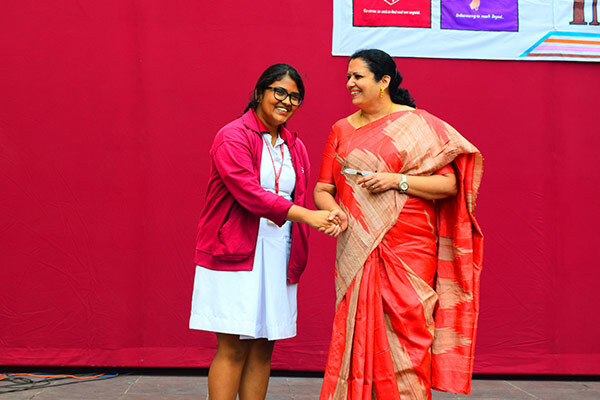 The Coordinators of the Senior, Middle and Primary Schools – Ms Latha Soman, Ms Amritha Nirmal Kumar and Ms Anuradha Krishna respectively, felicitated the badge holders of the rest of the Associations. 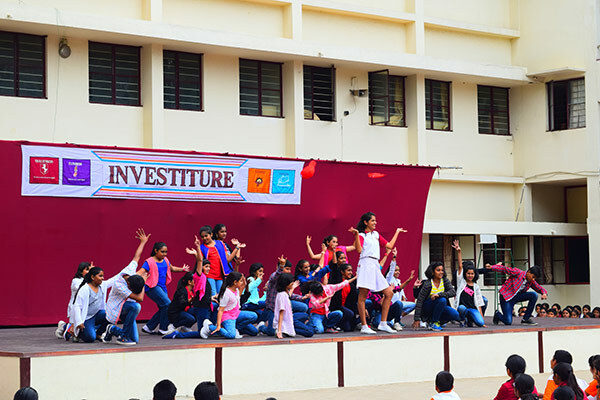 The programme also featured students from the junior classes who partcitpated enthusiastically in making the event colourful with their vivacious dances and rendition of a fusion of melodious songs. 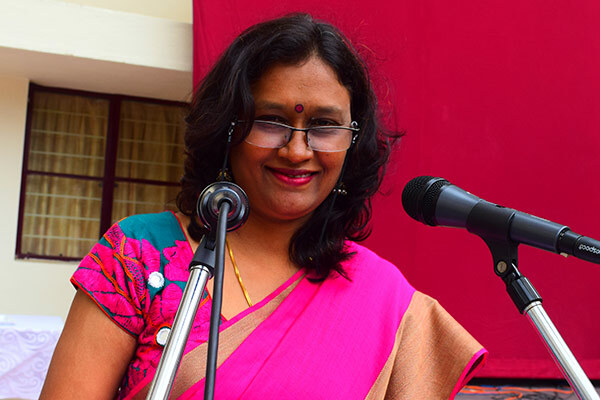 The programme concluded with the singing of the school song and the best wishes from all the faculty members of the school so that each and every leader appointed for the year will put their best foot forward in bringing accolades to our school within and beyond.